On the iconic Lygon street - the heart of Melbourne's “Little Italy” - you’ll find Piccolo Mondo, serving high quality, traditional Italian cuisine. Each day, Piccolo Mondo offers an ever changing special inspired by a different region of Italy. Imagine feasting on homemade pasta, mussels and spaghetti with King George whiting and fresh BBQ calamari. To emphasize the importance of quality and flavour, extra effort is made to use all the freshest and best available ingredients. Pair your meal with one of their desserts (house made daily) and your choice of coffee, liqueur, or one of their many available wines. Be spoilt for choice with their many different dining area options. Inside, you’ll find a striking, classic area with exposed brick wall, a bar, traditional art and antique wall lighting. Outside, you’ll find their always popular courtyard, featuring tables under a fairy light, greenery covered tent- you can even catch live music there from 6-10pm Thursdays and Fridays. Or if you’re after a most exclusive experience, book one of their few balcony tables, overlooking the always buzzing Lygon Street. Any area you pick to dine in will radiate character and charm. 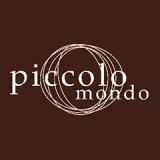 Dine at Piccolo Mondo to enjoy quality Italian cuisine in a stunning venue and prime location.